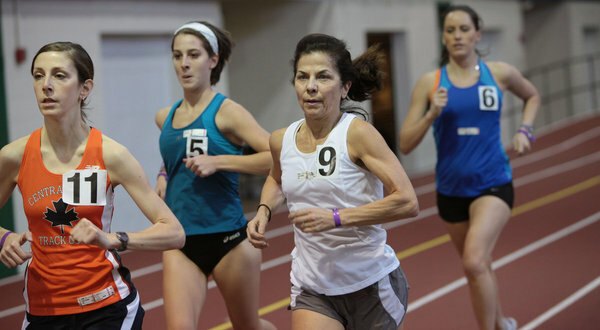 From NYTimes "Kathy Martin (9) competing in the 3,000 meters in January at the Armory in Manhattan." The most compelling sports stories are those in which the athlete or team has overcome the incredible odds against them to achieve a personal best or an outright win. The current story I am inspired by is Kathy Martin, a 60 year old masters runner, competing in track and field events and holding world records for her age bracket that are completely astonishing. For a convalescing runner like me, there could not be a more delightful true athlete story than Kathy Martin’s. Read it. Then tell me sports don’t have heart.